The fall colors make Mount Rainier National Park look like paradise! 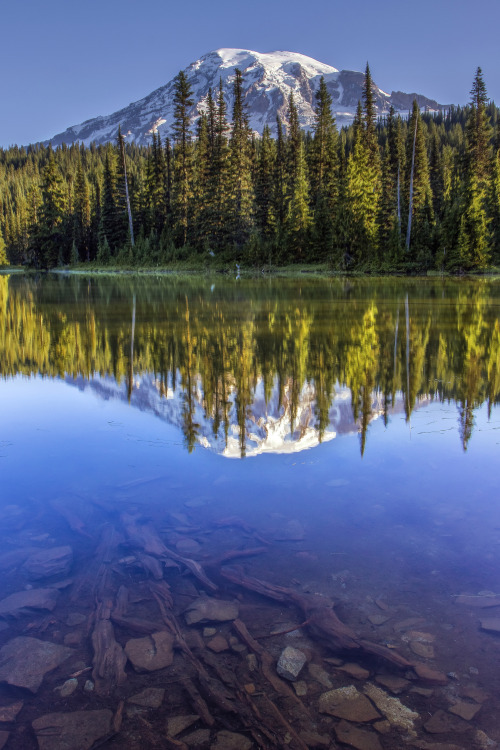 Pictured here is Reflection Lakes in the Paradise area of Mount Rainier. Famous for its glorious views and wildflower meadows, Paradise offers great hiking trails and a spectacular view of Mount Rainier. Photo courtesy of Bob Noble.